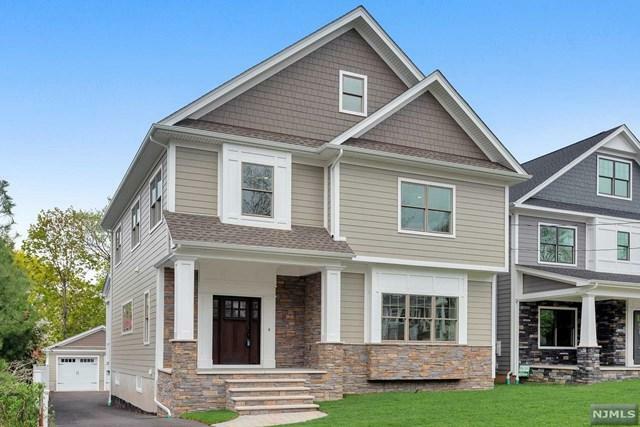 CUSTOM CONTEMPORARY FEATURING OPEN CONCEPT DESIGN WITH GRAND CROWN MOLDING IN LIVING ROOM DINING ROOM AND FAMILY ROOM DESIGNER KITCHEN WITH GRANITE COUNTERS HIGH LINE SS APPLIANCES AND CUSTOM CABINETRY. MUDROOM AND PANTRY OFF KITCHEN PLUS HALF BATH COMPLETES FIRST FLOOR. SECOND FLOOR FEATURES MASTER BEDROOM SUITE WITH MASTER BATH CUSTOM WALK IN CLOSET PLUS TWO BEDROOMS AND TWO FULL BATHS AND LAUNDRY ROOM. THIRD FLOOR HAS TWO BEDROOMS AND ONE FULL BATH. FULLY FINISHED BASEMENT WITH FULL BATH BONUS ROOM AND WALK OUT TO BACKYARD. THIS HOME FEATURES 10FT CEILINGS ON THE MAIN LEVEL, 9FT ON THE SECOND FLOOR AND BASEMENT. HARDWOOD FLOORS THROUGHOUT 3 ZONE CENTRAL HEAT/AIR, CENTRAL VAC, SPRINKLER SYSTEM, TWO CAR DETACHED GARAGE. HARDIE PLANK SIDING,PELLA WINDOWS,TREX DECKING. COME VIEW THIS ONE OF A KIND HOME YOU WILL NOT BE DISAPPOINTED. CALL TODAY FOR PRIVATE SHOWING. Listing provided courtesy of Coccia Realty Better Homes & Gardens-Rutherford.